Geez...some companies are just _so_ too good for autoshow debuts. 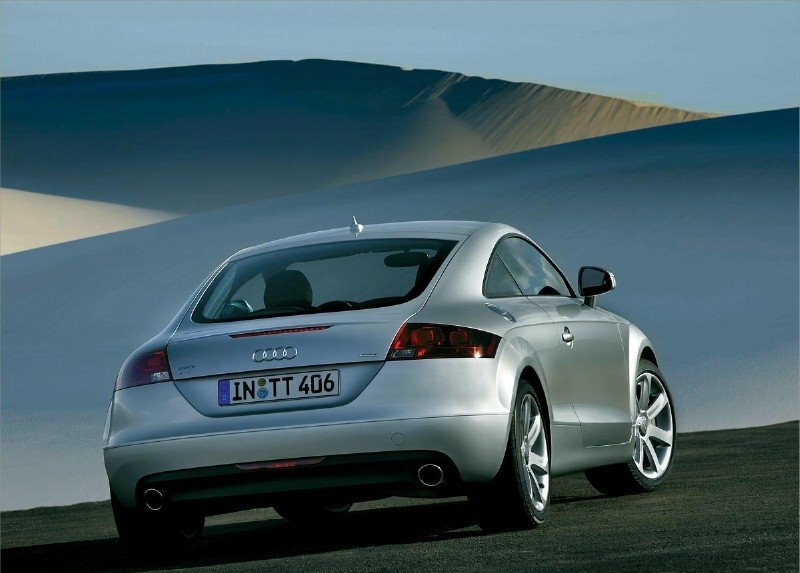 Instead of waiting like every other self-respecting auto company, Audi decided to unveil their new TT coupe to the world in a special event, broadcast on the Internet live from Berlin. Now, we finally have official pics of a car that spy photos had left little to the imagination of for weeks now. The new TT, as you may have already heard is now 5 inches longer and 3 inches wider, as well as slightly less pure of form than the first generation car - of course, it would have been practically impossible for Audi to improve on the artistic wonder that was the original TT coupe, a car that many thought would/could never be produced, so bold were the lines and shapes of the original show car. Interior-wise, the new car has many of the same cues, but again with a little less daring and purity (note the triangular 'bracing' that the original TT used, in metal, on either side of the center stack is now rendered in plastic - a mere shadow of its former beauty). 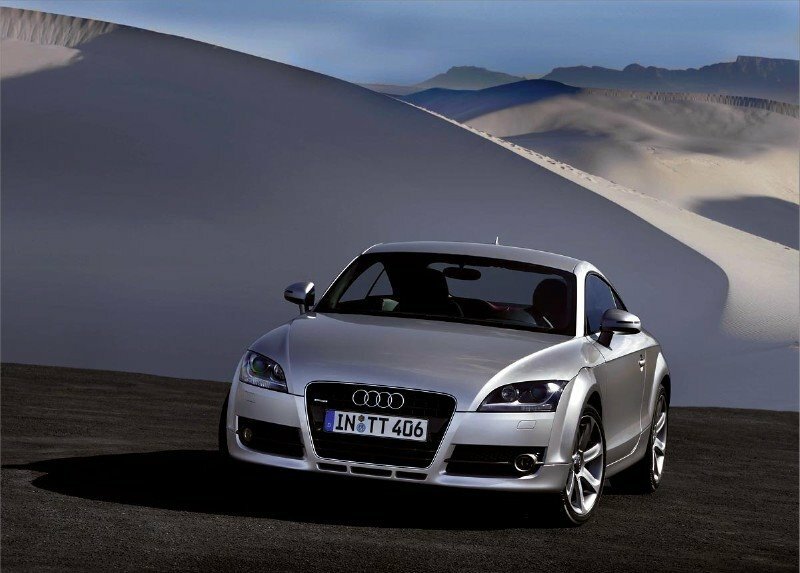 Will the new TT sell - of course. With its larger interior, it is sure to capture a few more folks who found the former car too small for their tastes. The extra power and refinement is also sure to attract a few more. It is just a shame that in the interests of change, that the TT has been forced to get bigger - even if its new aluminum/steel space frame have kept weight gain in check and new, more powerful engines have given Audi more impressive performance numbers to sprinkle in their press releases and brochures - and less edgy in its design. Of course, most current generation Audi's suffer from this stylistic watering-down from the early 21st century highs (the new, giant grills are one example; excess surface detailing is yet another). We'll reserve final judgment until we start to hear from folks who have driven the new car. But even if it is the best new coupe, dynamically - it just isn't the same.